In 1994, a Rosedale Parent had an idea. He wanted to help his child’s school by harnessing his love of cycling. The first Rosedale Ride wound through Central Austin ending at the Rosedale School. After the ride, many of the riders mingled for the first time with parents and students. A bond was formed. Several were so moved by the community spirit and inspiration of the Rosedale kids that they vowed to help year after year. Their goal: empower this special school to fully meet the needs of students with disabilities. Out of that admiration, the Rosedale Foundation was born. Over 20 years later, the Foundation is still 100% volunteer-run by caring community members. Since the first ride of 50 cyclists, the Rosedale Ride has grown into one of Austin’s Premier bicycle events with over 1000 participants. 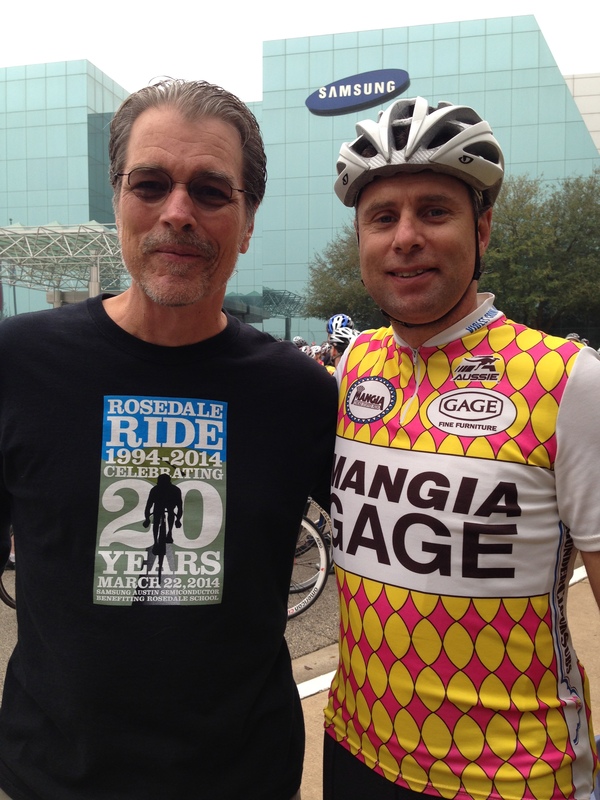 (link to ride page)It is currently the largest fundraising effort supporting the Rosedale School by Foundation. The ride has made big changes to the facilities at the school, helping with adaptive transportation, learning centers, sensory activities, and more. To raise special needs awareness and empower the students, families, and staff at Rosedale School. Every dollar counts! All the funds raised make significant difference at the school and in the lives of the students. We are so appreciative of all our riders, donors, and sponsors. Check out the ways to give during the ride and year round. The foundation is committed to honoring the parents, caretakers, and teachers who are doing the heavy lifting. We have a wonderful PTA, and we want to support them so they are able to advocate for their children’s education. Learn more about The Rosedale School. Other schools have organized sports or clubs, at Rosedale our pride comes from the everyday wins of the students. We want Rosedale to be able to celebrate in school spirit. Every time someone donates, promotes, and celebrates Rosedale it is fuel to keep moving forward. Supporting the population at Rosedale is a heart-warming challenge, but incredibly rewarding. Every day deserves a high-five. This is why we are Rosedale Proud!